Just the one pic today - I meant to do a proper Wagon Wednesday post with many pictures, but the day was taken up with important things like taxes and playing Wii with my kids. Got this recently from vdubyajohn. I already had a couple of these, but I’m quite fond of the casting as it was a favorite when I was a kid and I liked this particular iteration quite a bit. 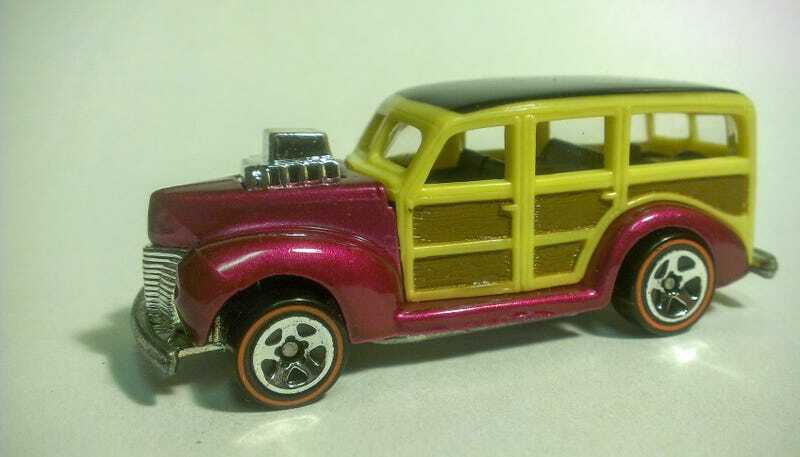 I didn’t have any with the two-tone wood and I love the color (this is a basement dungeon pic, so color is not the most accurate) as well as the redline wheels.